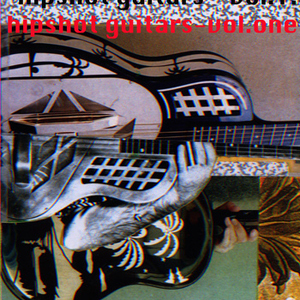 A three volume set compilation of the worlds best 21st Century avant garde guitar players. I wondered what all my guitar playing friends were doing and sent out a call for pieces for a possible compilation. The response was so good I ended up with 37 pieces – enough for a three cd set which covers almost every aspect of contemporary guitar. Volume One – Hip 020 – Gary Butler, Thurston Moore, Ben Mandelson, Jack Rose, Lawrence English, Ezekiel Healy, Bruce Russell, Greg Malcome, Matt Valentine, Susan Alcorn, Joel Picard, David Toop. Volume Two – Hip 021 – Hans Tammen, Elliott Sharp, Tim Catlin, Candlesnuffer (aka Dave Brown), Paolo Angeli, Marco Cappelli, Tom Carter, Fuji, Tetuzi Akiyama, Chris Forsyth, Phil Bird, Robin Schmidt, Jean Marc Montera, Erhard Hirt. Volume Three – Hip 022 – Steffan Basho Junghans, Sharif Sehnaoui, Eli Queen, Keith Rowe, Oren Ambarchi, Manuel Mota, Elio Martusciello , Mike Cooper, David Keenan, Keenan Lawler, Dean Roberts. Our first customer said-“Hi Mike-the package arrived this morning. Im listening to volume one right now and have loved every single track so far. Thanks for doing the work to compile these and I hope they sell well for you.” S.L. So do we and it was my pleasure doing it. The video was shot on my micro-sd card video camera and the music is my track on the compilation called ‘Love In A Dead language’ – which is also featured in my ‘Onibaba’ live soundtrack.